Regular brushing and flossing are essential for optimal oral health. However, The Parkway Dentist in Fort Worth reminds you that the bristles of your toothbrush can’t reach into every small groove and depression in your teeth, especially the really bumpy back teeth. That could pose a threat to your dental health. That’s where sealants can be invaluable. Dental sealants are a plastic material that is applied to the chewing surfaces of your molars, providing an extra layer of protection. By covering the pits and fissures in your teeth, sealants act as a shield against acids and plaque that can damage the enamel. There’s a common view that sealants are only for children and teenagers, but they can be good for adult teeth, too. Applying sealants is a simple dental procedure that can improve your dental health by protecting the surfaces that are most vulnerable to decay. Getting dental sealants applied to your teeth does not, of course, mean you no longer need to brush. Consider them an additional way of protecting your teeth, along with regular brushing, flossing, and visits to the dentist every six months. The Fort Worth dentist in Fort Worth can apply dental sealants to your teeth. We provide general and family dentistry, along with popular cosmetic dentistry procedures like teeth whitening and porcelain veneers. 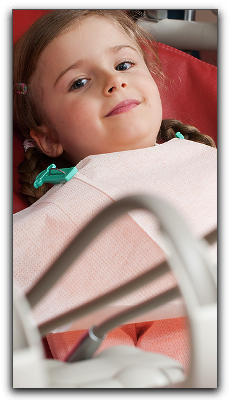 We also provide ClearCorrect clear braces as an alternative to metal braces. Call our office today to schedule a consultation or an appointment.